Kristen and Chris Barry, Brevard County residents and owners of Space Coast Thermography, celebrate the One Year Anniversary of their medical imaging center in the Rockledge/Suntree area. Space Coast Thermography, a non-invasive, radiation-free, and compression-free medical thermal imaging company opened their doors in March of 2018 and are now celebrating their one year anniversary Thursday March 7th from 5:00 to 7:00 pm. Space Coast Thermography is owned by Kristen Barry, Ph.D., CTT, a former Clinical Psychologist and breast cancer survivor, and her husband Chris Barry, CTT. They utilize the highest resolution thermal imaging system available in Brevard County, have a Board Certified MD Pathologist who interprets all of their images, and they follow strict protocols to ensure that every patient’s images are the most accurate and detailed. More than 260,000 women in the U.S. will be diagnosed with breast cancer this year, and Thermography offers a radiation-free and compression-free imaging option that can detect the early signs associated with breast cancer several years before other imaging methods. 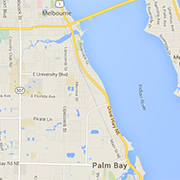 Space Coast Thermography offers Breast Screenings, Women’s Health Studies, and Full Body Studies. They work closely with a non-profit to help secure grant funding for those in need of financial assistance and to date 100% of the applicants have been awarded funding.